Blueberry High VG Eliquid – Ripe and succulent blueberry berries. Choose your bottle size and nicotine strength below to order. This eliquid is mixed at 20/80 PG/VG. Prefer 50/50? Blueberry High VG Eliquid is Ripe and succulent blueberry berries. Made in the UK with high VG and VG based low strength nicotine to produce bigger clouds and extra flavour. Blueberry High VG Eliquid is hand crafted, blended to perfection using grade A pharmaceutical ingredients with no compromises. Completely made in the UK and carefully crafted for those immense clouds of flavour. 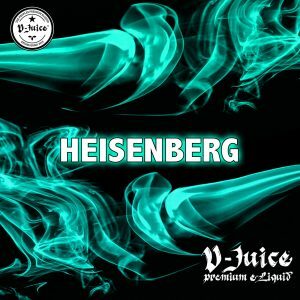 These Cloud Chasing High VG Eliquids from V-juice are perfect for sub ohm set-ups, mods and drippers. With loads of flavours to choose from in our high VG cloud chasing range, we have something for every cloud chaser out there. Our 50ml bottles of 0% nicotine are supplied nicotine shot ready, meaning there is room in the bottle for a 10ml 18mg nicotine shot to be added to reach 3mg nicotine total. For our 100ml nicotine shot ready eliquid, 2x 10ml 18mg nicotine shots are required to reach 3mg nicotine total. Find our nicotine shots below. Nicotine Shots sold separately below.